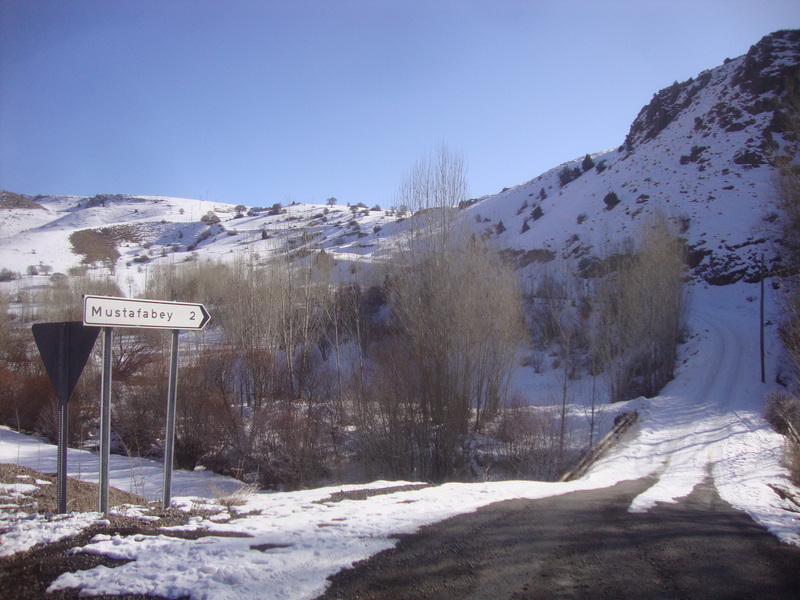 The day I left Sivas was grey and uninspiring, with a few half-hearted snowflakes blowing around, and a thick layer of slush on the road. 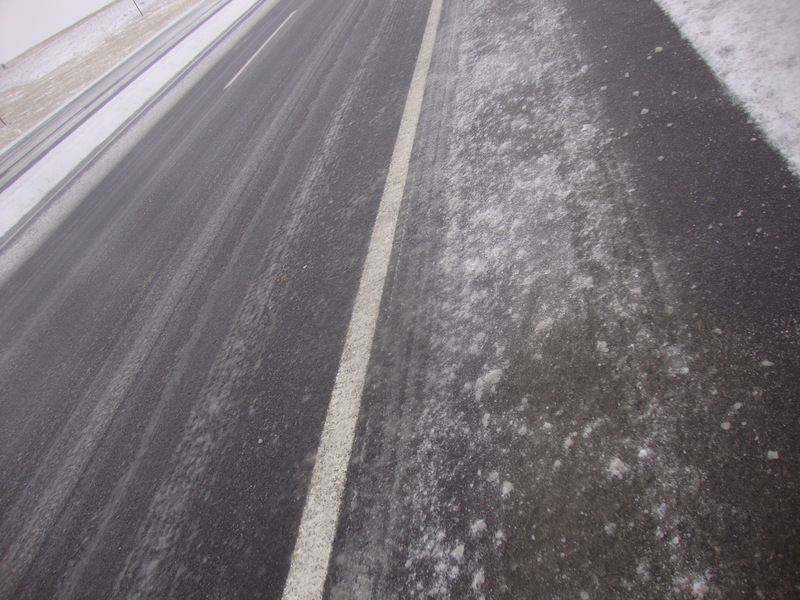 The temperature was hovering somewhere around zero, which meant that said slush kept melting and refreezing, turning the road into an interesting stripy pattern of snow-slush-ice-slush-ice. The going was slow and laborious. I kept indecisively switching from one stripe to another, trying to work out which was least likely to send my wheels sliding out from under me. I was aiming to cover at least 100km per day, in order to make it to Erzurum before the authorization code for my Iranian visa expired. This wouldn’t usually be that difficult, but under conditions like this it was starting to look distinctly challenging. 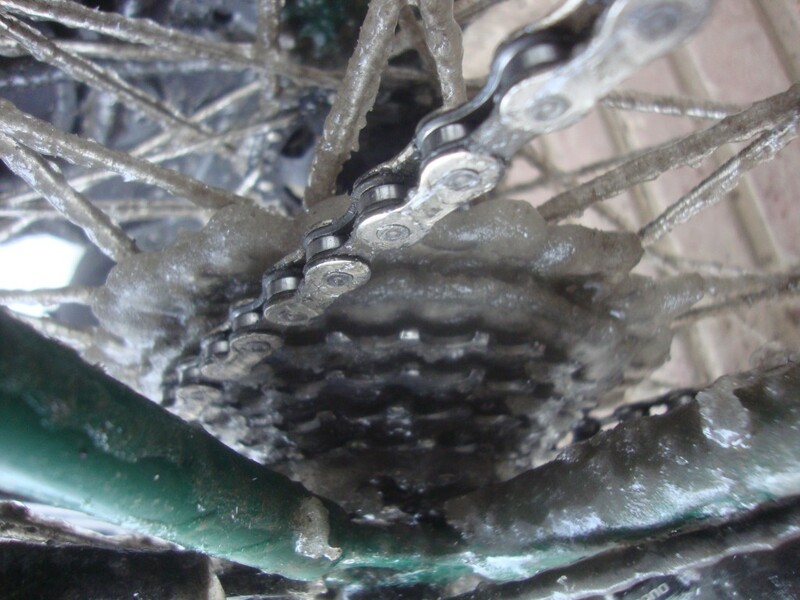 After a couple of hours I noticed that I was having trouble changing gear, looked down, and saw to my alarm that my entire chainset (in fact, my entire bike) was covered in a thick layer of solid brown ice, thrown up as slush from the road and then refrozen by the wind. Eventually I was reduced to using a single sprocket. And after a while even that started to skip. I realized I was going to have to stop and sort this out. So I crawled over one more hill, listening to the clunk clunk clunk of my chain dragging over the clogged up teeth of my cassette, and trying not to think about what terrible damage this was doing to my beautiful bike, stopped at a petrol station, and started ineffectually trying to melt the ice using a lighter. As I might have predicted, the surrounding men instantly came to my rescue, poured a boiling hot pot of tea over my cassette, and dragged me into their warm cabin to thaw out my feet. A boy was summoned with a hot kebab and a carton of ayran (Turkey’s ubiquitous yoghurt drink – a bit like the Indian lassi), and then one of the men, who turned out to be a car mechanic, carted me off to his workshop and doused my chain in antifreeze. I haven’t yet dared to find out how much damage this will do to my bike in the long run, but as a short-term solution it worked a treat. Over the next few days, things got properly tough. 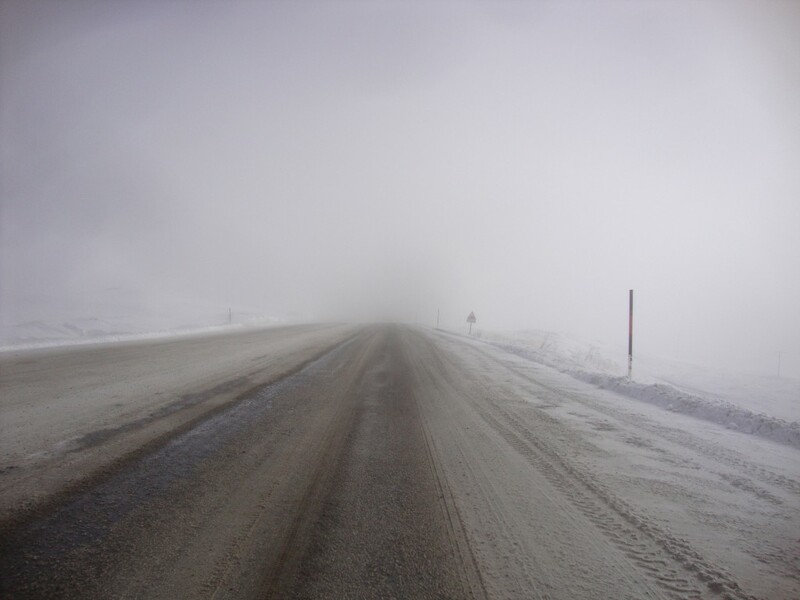 There were mountain passes of over 2,000 metres, several of them covered in snow and ice. And I started to realize just what a difference extreme cold makes. I knew this leg of the ride would be difficult, but I hadn’t quite understood how it would be difficult. Cold like this saps all your strength and skill and stamina. I had imagined myself, given sufficient sleep and food and clothing, heroically overcoming the Turkish winter, gritting my teeth, girding my loins and soaring powerfully over the mountain passes, with all the strength of the last 4,000 miles, and the last three years of the London courier circuit in my legs. In reality it was nothing like this. I stumbled and crawled to Erzurum, sometimes struggling along at barely more than walking pace, sometimes stopping every couple of minutes to rest, crunch on the contents of my frozen water bottles, neck another custard cream, and then wearily press on. No matter how hard I pushed myself, I could go no faster. All I could think about was the pain in my lungs and hands and feet, and how tired I was, and how I wanted it to end. At night I pitched my tent well within sight of the road and nearby villages (partly because I was too exhausted to seek out any ingeniously hidden camping spots; partly because I wanted to be within sight of friendly Turks who would come to my rescue if I woke up with frostbite, or being eaten by wild dogs), and scraped together my last fragments of energy to boil a pot of soup and eat it. The cold made me stupid and clumsy, and I had to be extra careful not to set fire to the tent, or stab myself with my Leatherman. And then I put on two more pairs of socks, zipped myself into my down jacket and my sleeping bag, and lay there shivering for the next twelve hours, only able to sleep in short bursts before the cold woke me up again. 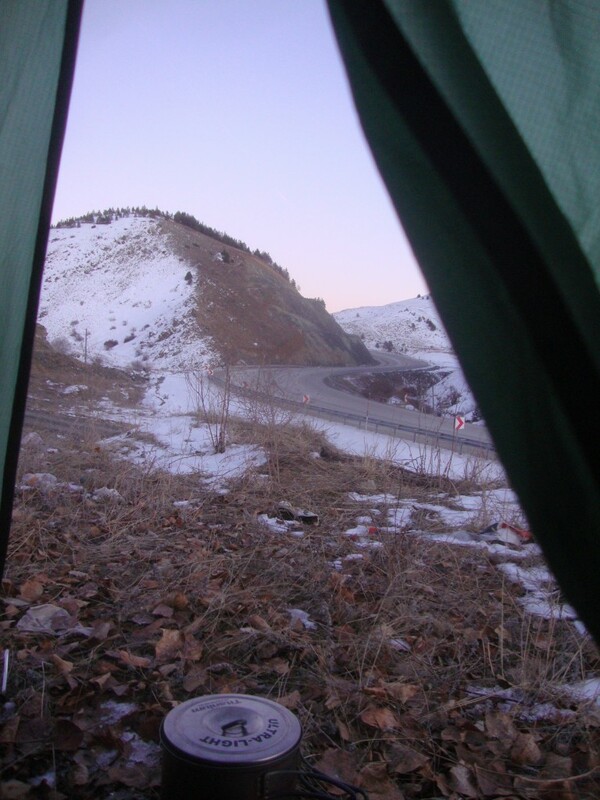 In the mornings my sleeping bag was crispy with my breath, which had condensed, soaked into it, and then frozen. I didn’t want to get up, but nor did I want to be lying there any more. So I forced myself back onto the road, for another day of slow, slow pedalling. I’m reminded of this post I wrote when I was approaching burn-out as a courier, in which I observe that perseverence is often more pathetic than powerful (or something along those lines). True, I made it to Erzurum in the end, but if you had watched me creeping along the interminable gorge I rode through on Wednesday, you would have been put in mind more of an exhausted shuffling prisoner on a death march than a bold hero conquering the Turkish mountains. I was just about able to appreciate the scenery though. 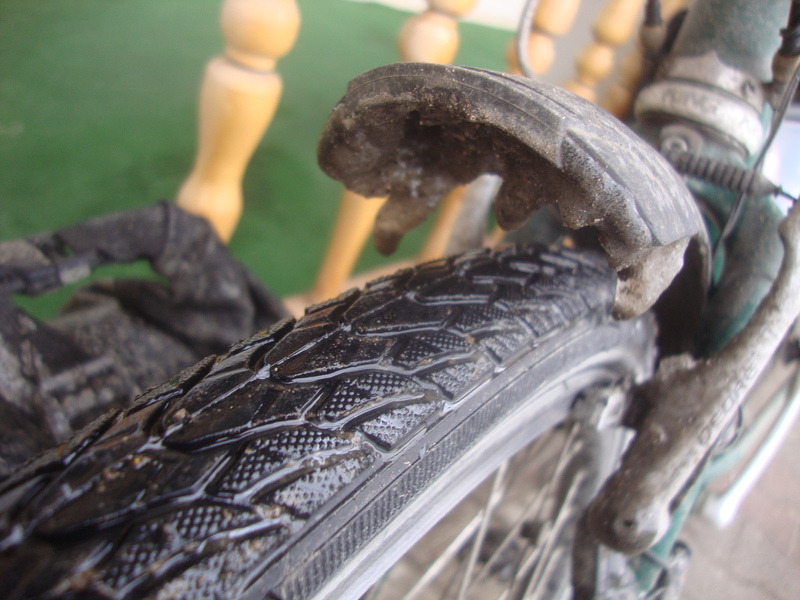 Turkey is an amazing country to cycle in, but also a cruel one. 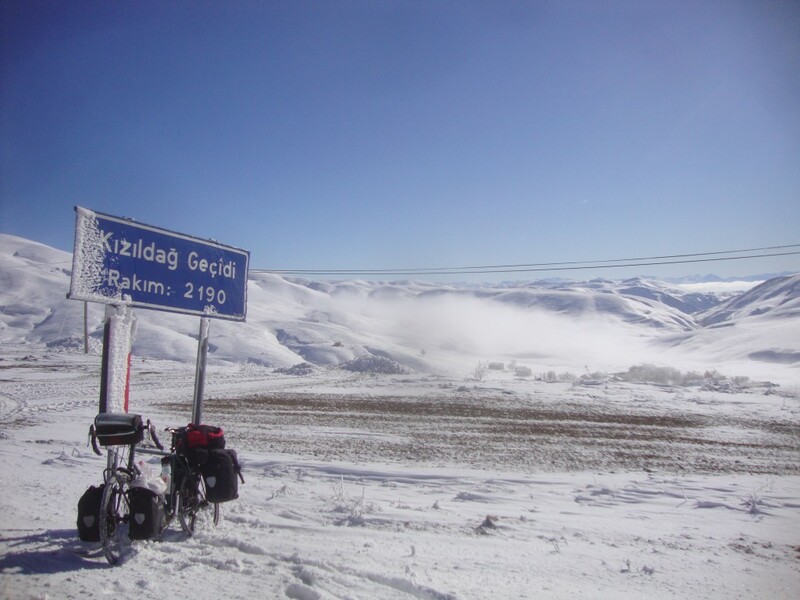 The eastern half of the country is a plateau over 1,000m above sea level (and sometimes much more than that – Erzurum is almost 2,000m up), meaning that if you ride from west to east you’ll effectively be going uphill most of the way. The road is broad and well-surfaced, with plenty of room for bicycles, but it wasn’t designed for cycling – it was engineered for the endless procession of lorries rolling along towards Iran and Pakistan and beyond (I know this because several of their drivers have offered me lifts, and two of them even flagged me down and cooked me an omelette for my lunch on Thursday). The gradients are shallow but interminable (give me the winding switchbacks of the Balkans any day), and villages and petrol stations few and far between. For miles and miles each day I rode through vast unpopulated plains and gorges, occasionally spotting signposts to villages hidden away amongst the hills and clearly too tiny to feature on my map. 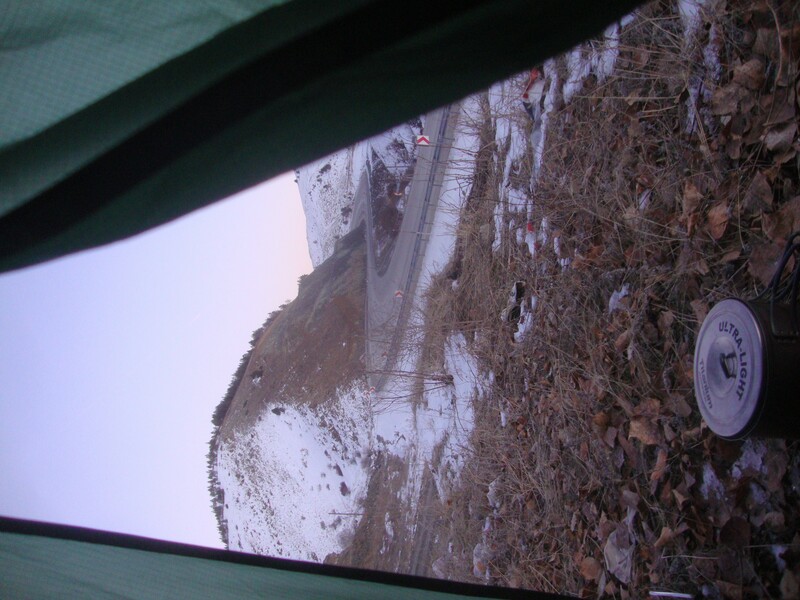 On Thursday I tipped over the final pass before Erzurum, hoping that from now on it would be either downhill or flat. It was, but it was also suddenly a lot colder. I pushed myself through the final 30km, racing the sinking sun, which was turning the surrounding peaks apricot and then violet, knowing that the temperature would drop even further once it got dark. I could feel my eyelashes, and the hairs in my nostrils starting to freeze together. My feet were stiff and stinging with cold, all the way to my ankles. My whole body was tensed, in an effort to keep it from trembling with fatigue. I’m half crazy, oh for the love of you. It’s something my father used to sing to me when I rode on the back of his bike as a small child. Goodness knows how it popped into my head at that moment. But it got me there in the end. And now I’m here, I want to do it all again!